Did you make under $54,000 in 2018? Get your taxes filed for free! 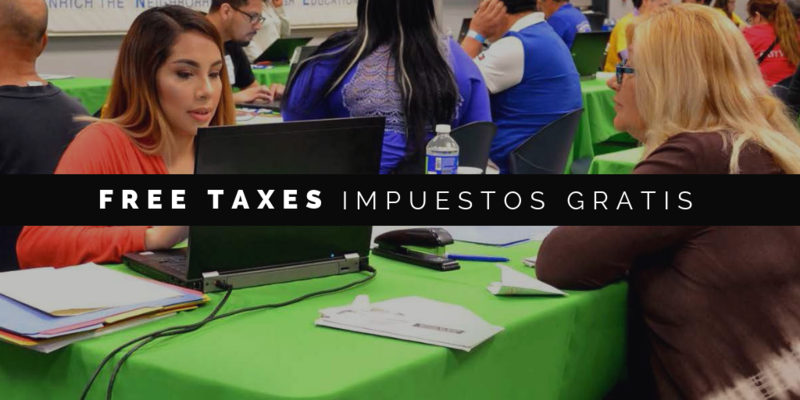 To schedule your appointment, call 323-604-1950 or email FreeTaxes@elacc.org. Through this program, we can save members money, and ensure that they receive what they are entitled. Last year, our IRS-certified volunteers filed over 580 tax returns, returning $753,563 back to the local community and saving $87,900 in fees for participating households (an average of $150 per return).